Videophones, holidays in Space and flying cars were all expected treats 20th Century kids looked forward to when they reached the 21st Century. Well, its the 21st Century and although I have a videophone and could go on a space trip if I was really, really rich, theres no flying cars. Its not from lack of trying, inventors have been developing aerial vehicles for some time. The most famous was Paul Moller. 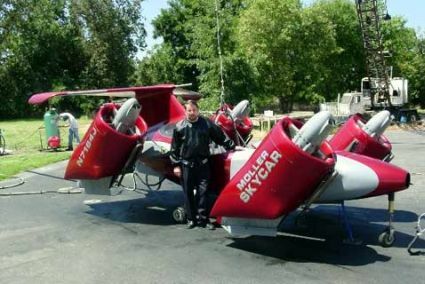 He has been promising Skycars for as long as I can remember but I have yet to see one. Perhaps the most successful inventor was Moulton Taylor. 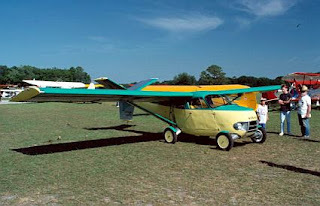 His Aerocar was a small road car that could be converted into a light plane. He constructed several prototypes and for a while it looked like actually going into production. Sadly it never did. Flying cars have a great enemy: gravity. If a car breaks down on a road it will still stay there. If a flying car breaks down it may end up on your head. To put it mildly having tens of thousands of flying cars would cause head aches for air traffic controllers. Not thats going to stop people from trying. 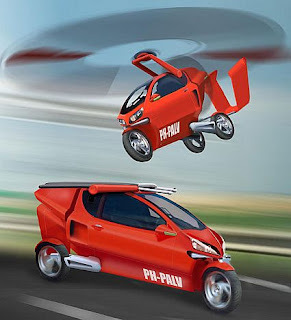 The latest flying contraption to hit the news is the European PAL-V. Its a cross between a motorbike and gyro copter. I suppose cattlemen would find it useful during muster.